Having our nails stand out is a huge trend right now. With an overwhelming amount of nail polish colours and hues to stickers and markers to get creative with detail, decorating our nails has never been more fun. But now there is a new buzz going around where people are 'accessorizing' the nail. 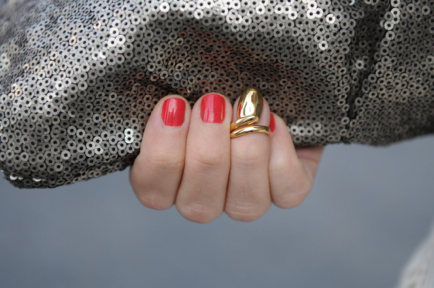 Yes, there are now nail rings and I have to have this one by Bijules. Find it here! !